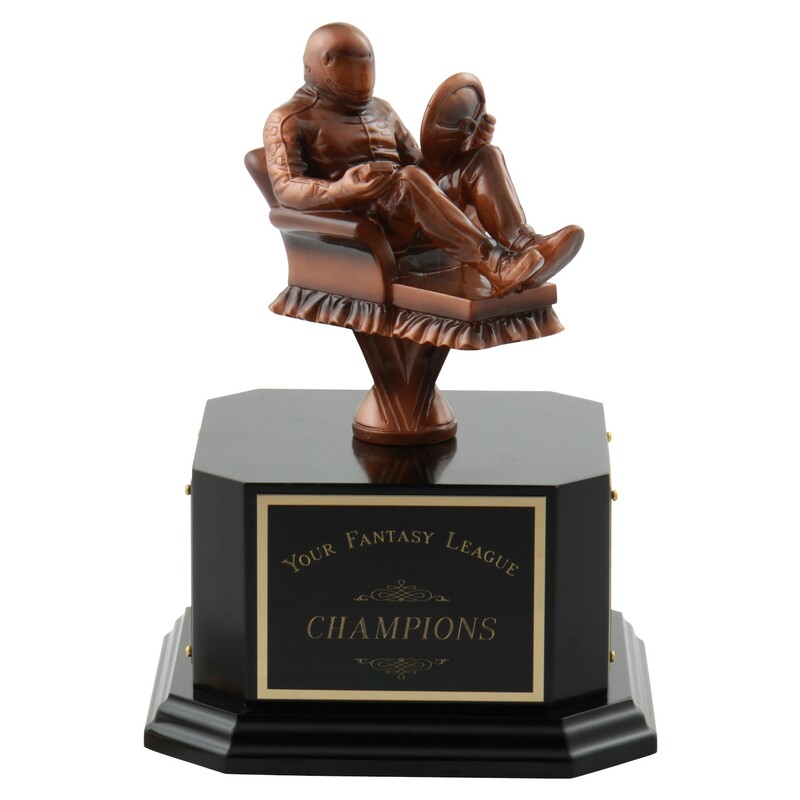 At 9 1/2" tall, this Armchair NASCAR Perpetual Racing Trophy is the perfect choice for your fantasy racing team! Made of resin, a fully dressed racer feels the need for speed in a comfy armchair. Attached to a quality black base, this award is sure to last. Engraving of the front plate is included in the price, and you have the option to add 3 black side plates to list all of your future winners. 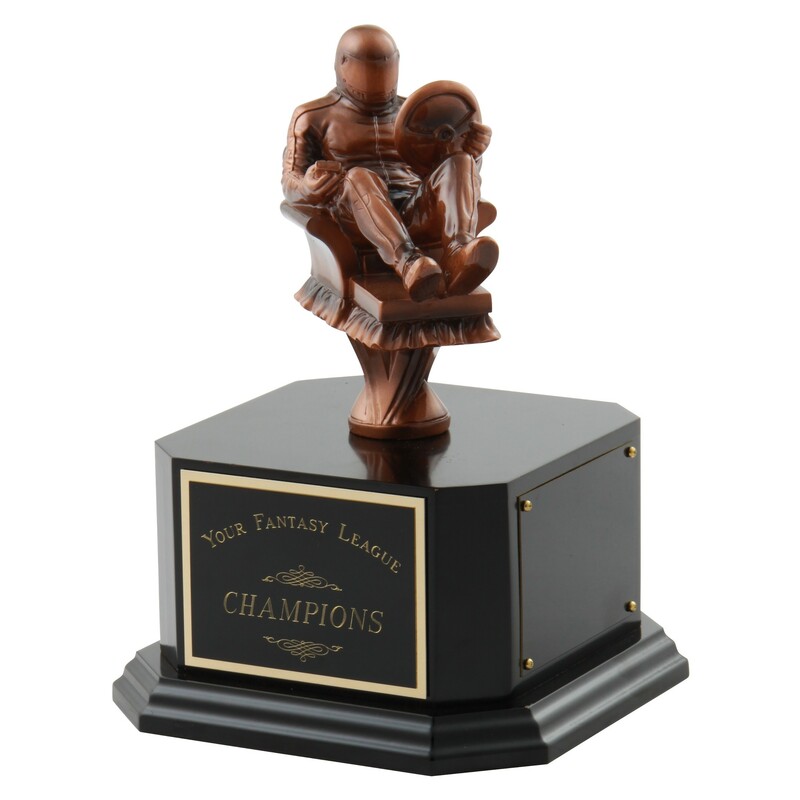 ***Note: To add winner's names onto the side of this trophy, choose the "3 Side Plates" option below and then add product #7170 Fantasy Perpetual Engraving to your cart.